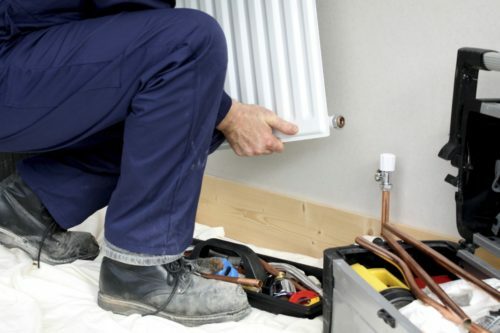 Thinking about getting a new central heating system fitted in your home? You might currently have a dated or inefficient system in place and need to improve your heating. 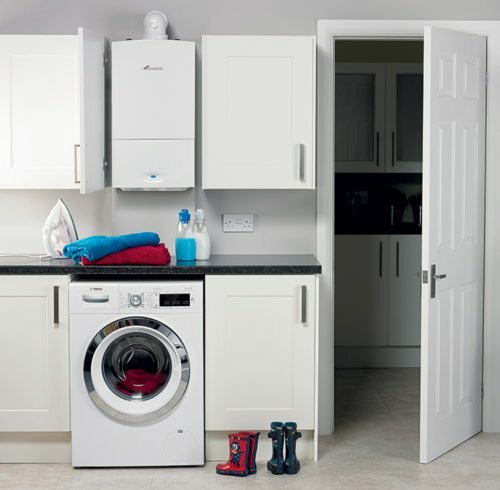 Whatever your reason, take a quick look at this page to learn the essentials before your purchase: price, the basics of central heating, and factors to consider. Installing a new central heating system is no easy feat. You’ll have to pull out or install quite a bit of pipes, water tanks, controls, and other heating components. All this comes with a hefty price tag so it’s understandable to be wary of the costs of such an operation. Before you go out and inquire about purchasing and installing new central heating, take some time to carefully examine the prices. You’ll be better informed on the costs and less likely to be taken advantage of by a potentially deceitful dealer. Getting a new central heating system might seem easy right? Just choose the models you like and let the heating engineer get to work. Unfortunately, it’s not as simple as that. 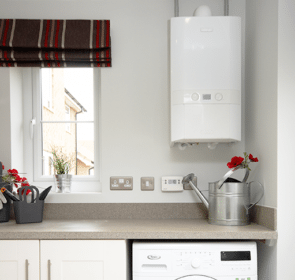 There are so many factors to consider before you decide on a heating system, and even more when you select an installer. Fill in our free quote request form to compare local, reliable heating companies. You are free to ask any questions, identify the best heating solution for you, helping you save time and money! If you’ve never paid much attention to your central heating, then shopping around for a new system is the perfect chance to study up! I know that it’s not the most exciting of topics, but you’ll be glad you did a bit of research before you make your purchase. By having a general idea of how central heating works, you’ll be better able to identify the right system for your situation. This means a better decision, saving plenty of headaches and money along the way. Your system consists of these main parts: boiler, pipes, radiators, water storage tanks, and heating controls. The exact components needed will depend on the type of system you choose. The boiler takes water provided by your mains pipe and heats it. Burning gas or oil is the most common way to power the boiler. 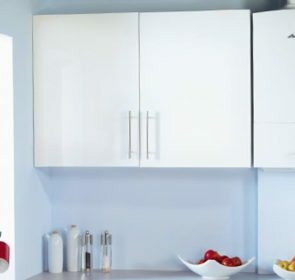 The heated water will either be pumped to a hot water storage vessel or directly to a water tap—this depends on whether it is a combi boiler or not. 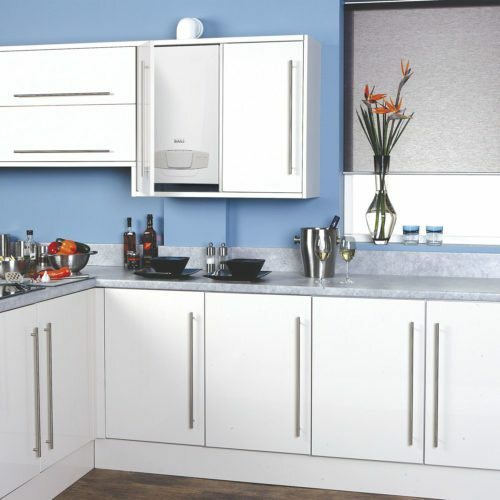 The boiler also transports the water to radiators located throughout your home. The hot water travels through the radiators to release its heat energy, warming up the room. Once the heat transfer is completed, the now cold water circles back to your boiler for reheating once again. What affects the cost for new central heating? If you decide to install a new central heating system for your home, you might be surprised about the number of factors that help determine your final bill. Since your system should match the characteristics of your home, it’ll be a bespoke heating solution—the price will reflect this. There are so many different brands and models available, meaning that the prices will vary significantly. Also, where you source the central heating parts from will play a role. The most common scenario is that your central heating installer will arrange for these parts, obtaining them from their suppliers. This is convenient for you but usually entails higher prices. A trustworthy company will provide a breakdown of their costs, detailing the prices for different parts. Take advantage of this and get multiple heating installation quotes to find the best deal. 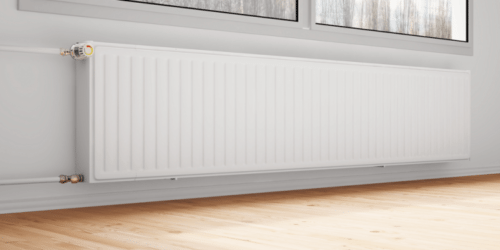 Larger heating companies tend to give quotes as a single number based on the completion of the job. This includes the supply, installation, and labour costs. Smaller companies usually charge on an hourly rate. Their rate averages at around £20 to £40 an hour. Finally, new central heating costs will vary depending on the size of your home, your heating demand, and the type of system you choose. Households that require a high level of heating need a higher capacity boiler, as well as more radiators and piping, driving up costs. Certain boiler types, such as a conventional or system boiler, need expansion vessels and water storage tanks. This increases the supply and installation costs. As you can see, all of these factors influence each other, making the whole process of pricing your new central heating system even more complicated. Luckily, you don’t have to work through this complexity on your own. For a new central heating installation, your best bet is to contact several companies in your area and to gather as much information as possible. You’ll see the average price you can expect and ask any questions on your mind. As is the case in so many things in life, proper preparation is pivotal! Is it time to get new central heating? This is a question that you might be wondering about. Actually, there are many possible reasons why it might be time to switch to a new central heating system. Age: Your entire system might be a few years old now and is in need of a revamp. 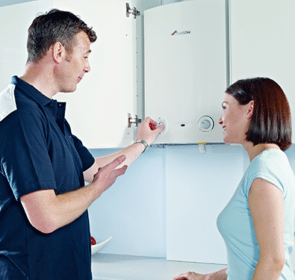 Usually, you should replace your boiler after 10 to 15 years, and if the rest of your heating is reaching the end of their lifespan, it’s time to replace. 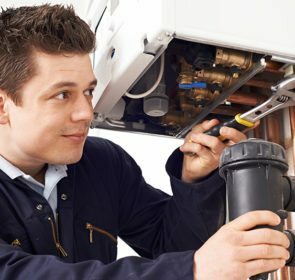 High repair cost: Occasionally, the price to fix a problem with your heating is much higher than it is to replace the whole system altogether. If this type of recommendation is coming from your heating engineer, you should consider installing a new system. Low efficiency: Perhaps you have noticed that you are spending way too much on heating. This could be a result of an inefficient heating system. Upgrade to a modern, more efficient system to unlock savings for your energy bill. Take your first step for a new central heating system now! Getting an entirely new central heating system fitted is a very costly endeavour. That’s why you should take any means possible to help lower the price. One way to do this is to compile several heating quotes from companies large and small. You’ll see the whole range of prices available and find the one that’s right for you. Send a request through our site and get in touch with 5 companies now—it’s absolutely free and will save you an estimated 40% off your new central heating costs!